The Aragón region stretches from the Pyrenees to the isolated southern city of Teruel, best known for its beautiful architecture. Zaragoza, in the middle, is a graceful Iberian city loaded with diversity. In amongst all the beautiful Iberian scenery can be found some of Spain’s best preserved medieval towns and villages. Choosing the best places to stay in Aragón really depends on why you’re exploring the region, but there are plenty accommodation gems. Our Guru’s recommendations for the best places to stay in Aragón include medieval charmers, hotels with astounding mountain views, relaxing rural retreats and family holiday havens. Aragón is a region of beautiful little stone villages and spectacular views - this is the real start of the Pyrenees and the valleys are deep and peaks high. This dramatic landscape makes Aragón a playground for outdoor adventurers; trek, climb, ski or bike your way between pueblo and pueblo. It is this region's timelessness that visitors will probably remember. Aragón is a great place to come to discover the old Spain. Aragón's cities are rife with reminders of this region's past, there's a hotchpotch of wonderful monuments built by the Romans and both the Islamic and Christian rulers of Spain. Modern Aragón is just a slip of its former self - it once encompassed neighbouring Catalonia, Valencia, Venice, Sicily, the Balearics, much of the south of Italy and Venice. It was the marriage of King Ferdinand of Aragón to Isabel of Castile in the 15th Century which was the forming of modern Spain. Choose any one of Aragón's ski resorts and hit the slopes. Hike or bike through the Pyrenees. Explore the beautiful little stone villages. Learn of the regions past exploring Roman, Islamic and Christian monuments. 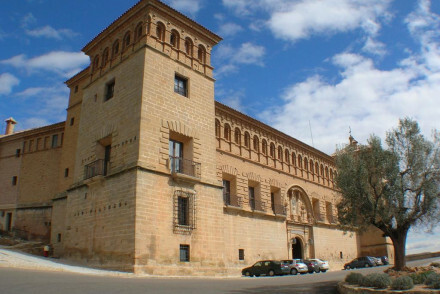 Use our pick of the best places to stay in Aragon to start to plan your trip. The Casa Alodia is tucked away down a cobbled street in medieval Alquezar. Its decor has an earthy palette with rustic natural materials and hand woven fabrics. 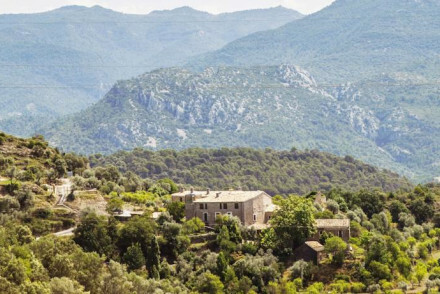 Plus you’re on the edge of the Sierra de Guara Nature Reserve. Once a synagogue, then a manor house, El Sueno de Virila is now a six room hotel with spacious rooms and lovely details like exposed wood beams, kilim rugs, and designer furniture. There is a lovely roof terrace, library and bar. The Casona del Ajimez is a six room hotel set beneath Albarracín's castle walls, beautifully renovated to its historic glory and surrounded by a pretty garden and spectacular views. Casa de Santiago has been converted from a mansion once owned by the church of Santiago and has plenty of original features, impressive views and a great traditional restaurant. 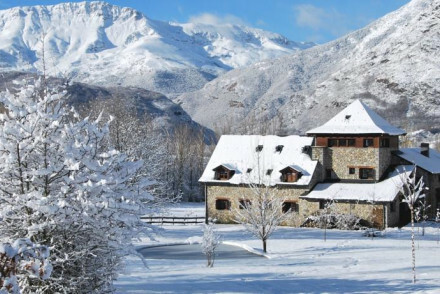 La Casuena is nestled at the foot of the Pyrenees and is ideal for those wanting to experience this region on a budget. 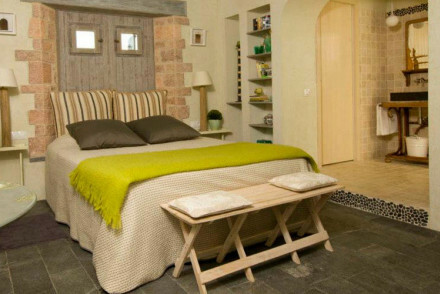 Rustic chic interiors, plus excellent restaurant and all from just €80 per night. Hotel Almud offers cosy rooms, mountain views and the perfect base for indulging in numerous outdoor activities from climbing to caving. 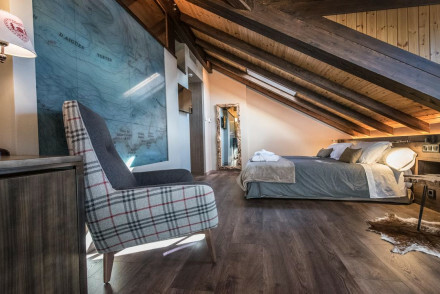 Hotel Selba d'Ansils is a stone and slate mountain-style house situated in the peaceful Benasque Valley. The charming rooms are decorated in a traditional manner and boast spectacular views. 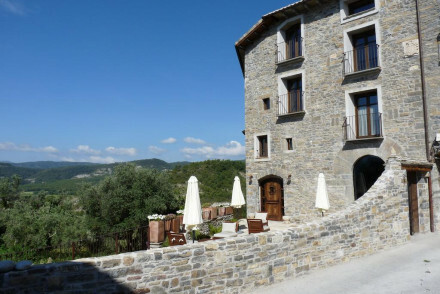 Parador de Alcaniz boasts a wonderful hilltop location in a historic former castle convent. With Gothic murals, Baroque façades and splendid views. 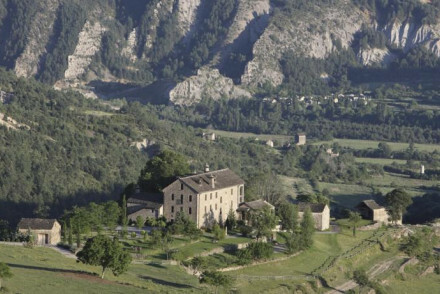 Casa de San Martin is an imposing country house situated in a breathtaking spot overlooking the Ordesa National Park. Classically renovated throughout, think exposed stone work, cast iron beds and open fireplaces. Right in the heart of Alquézar in the Sierra de Guara National Park, you'll find the Hotel Maribel, a lovely, small and traditional hotel with individually designed rooms and enormous hydro therapy baths. 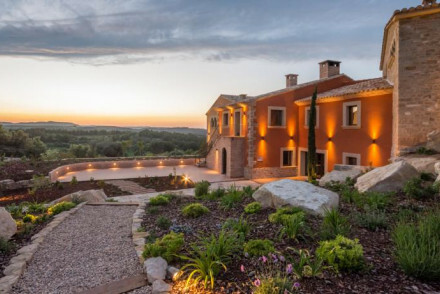 La Torre Del Visco is a wonderful secluded country house hotel surrounded by over 200 acres of land, including a working farm and a beautiful rose garden. The menu is superb - real farm-to-table stuff. Plus there's a large cellar and games room. Set amongst vineyards, olive groves and poppy fields, the Hotel Cresol is a great little property with a lovely garden and an excellent restaurant. Rooms have stone walls, exposed beams and clean, white furnishings. The Mas de la Costa is a wonderful combination of the modern and traditional. Come for an off the beaten track luxury escape with stunning views and excellent food. 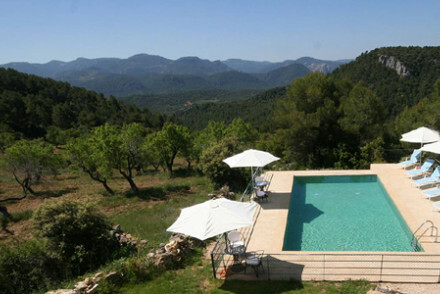 Masia La Torre charming converted country house boasting an excellent restaurant. Sample exquisite regional fare with a contemporary twist after spending a day exploring the picturesque countryside. La Demba Art Hotel features individually decorated rooms designed by a variety of contemporary artists. Boasting wonderful mountain views and a restaurant which uses local produce to serve up excellent cuisine. 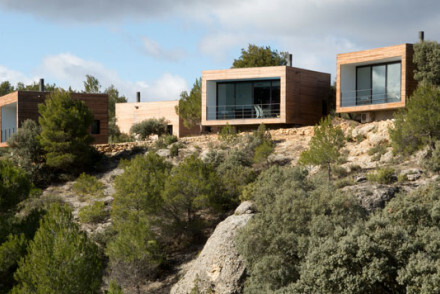 Consolacion is a uniquely modern designer hotel in the Matarraña hills. The views are amazing, from 12 cube-like rooms which feel like their own little villas. As well as an excellent modern restaurant, which also runs its own foodie workshops, there's a chapel and a 'library' called el garage. Mas de la Serra also has a wonderful location, but this time its amongst mountains, valleys and gorges with panoramic views. Rooms are rustic and light, and fabulous Peruvian style meals are served on the terrace. There are eight rooms, starting from £79 per night, and it's very family friendly. The Hotel Villa de Cretas is a lovely little hotel in historic Matarraña. Its rooms are traditional - think exposed brickwork - but the bathrooms are modern, and there's a bar, a library and a restaurant serving great local food. 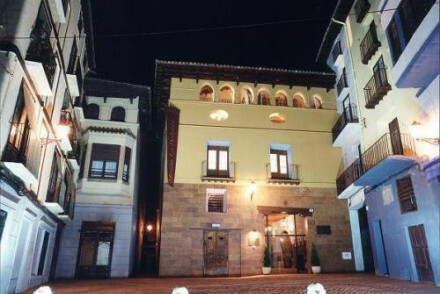 The Hospederia Meson de la Dolores in Zaragoza is a traditional hotel in a delightful village. 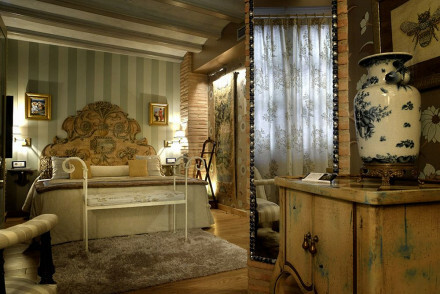 There are 34 charming rooms with exposed beams, wrought iron furniture, wooden floors and brightly painted walls. There’s also a restaurant serving excellent regional cuisine and an elegant bar. And all for around £65 per night. Or there’s La Posada de Lalola in Huesca, a thoughtfully decorated six room hotel with plenty of charm and original features. There's also a lovely garden and terrace, where you can eat al fresco, while enjoying the views over the Pyrenees. Aragón's international gateway is Zaragoza. Zaragoza airport is 10km south-west of the city. An alternative for anyone wanting to visit the mountains is to fly to the French city of Pau. The best time to travel is between April - June and September - October when the weather sits more comfortably in the mid twenties (celcius). Browse through our list of all the best places to stay in Aragón. Widen your search to include all our recommendations in neighbouring Catalonia. A lovely little hotel in a historic town. Traditional rooms blend the rustic and contemporary, with muted colour schemes, exposed brick work and modern bathrooms. Bar, library and authentic Spanish cuisine. A great choice from which to explore the historic towns and villages of the region. A traditional hotel in a delightful village. Charming rooms feature open beams, wrought iron furniture, wooden floors, brightly painted walls, some have four poster beds. Excellent authentic regional cuisine, a peaceful courtyard, and an elegant bar. A lovely hotel for a quiet weekend. 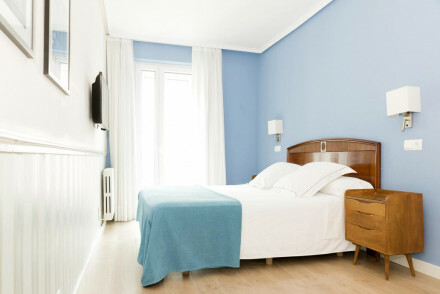 A chic and affordable hotel right in the centre of historic Zaragoza. Understated elegance reigns supreme with hardwood floors, white on white interiors and splashes of art on the walls. The hotel serves an excellent home cooked buffet breakfast and the staff are warm and welcoming. 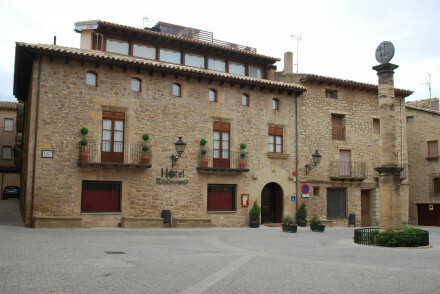 Charming hotel in the Huesca province. Rooms are tasteful and thoughtfully put together with delicate touches and original features. There is a gorgeous garden and terrace where you can enjoy views of Buera whilst sampling traditional dishes of the area al fresco. Views - Mountains and the local town. 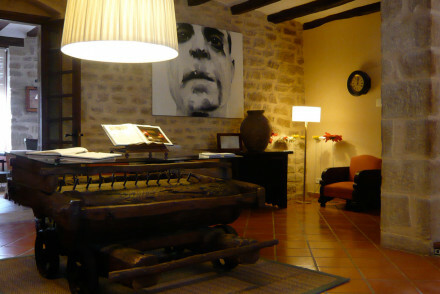 This B&B is in a fine old building in the heart of a medieval village. Rustic-chic interiors feature traditional bare wood, stone floors and attractive wooden furniture while the homely lounge has comfy sofas around a stove. Smart rooms are cosy and unfussy. A delightfully tranquil base. These boutique apartments are located in the heart of bustling Zaragoza. Exposed brick walls contrast with uber modern interior design; enjoy a film on the projector from the comfort of your memory foam bed or have a drink on the cosy enclosed terrace. A stylish, contemporary base for a city break. This artsy hotel features individually decorated rooms designed by a variety of contemporary artists. Boasting wonderful mountain views and a restaurant which uses local produce to serve up excellent cuisine. A nice, quiet, country retreat. A charming hotel in a stunning location; mountain, river, valley, gorge. Fantastic panoramic views of the surrounding sierra. Rustic romantic rooms have wooden beams, stone walls, lots of natural light. Fabulous Peruvian dinners from terraces, huge pool, and very family friendly. Wow! Views - Panoramic views of the surrounding sierra. Outstanding location - A beautiful location surrounded by mountain, river, valley, gorge, and still close to the beach. 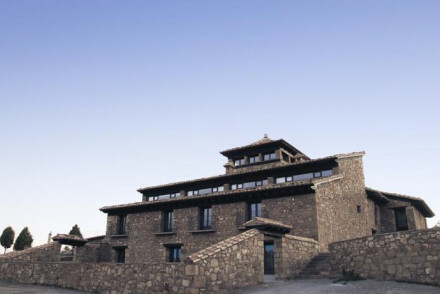 A stone and slate mountain-style house, situated in the peaceful Benasque Valley. The charming rooms are decorated in a traditional manner and boast spectacular views. The cosy and intimate lounge is perfect for an evening drink and the restaurant serves excellent food in a relaxed atmosphere. Active Holiday - There's skiing a few miles away, an outdoor pool to use during the summer and plenty of local hiking. 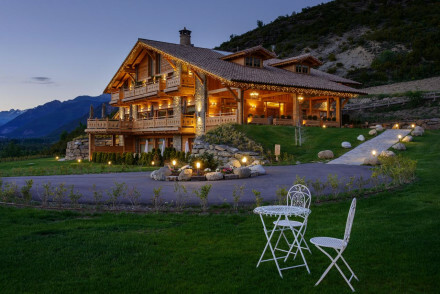 Country Escape - Situated in the peaceful countryside of the Benasque Valley surrounded by lush mountain meadows. Writing a novel - Use the peace and quiet of the surrounding countryside to get the creative juices flowing. Great walks - There are plenty of local hiking trails through the flower filled meadows and up the mountains. 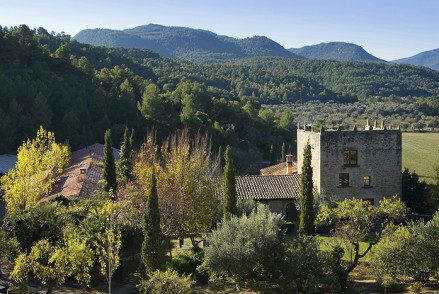 Parador de Alcaniz boasts a wonderful hilltop location, in an historic former castle convent. Gothic murals, Baroque façades and splendid views. Traditional accommodation with antique furnishings and elegant communal areas-perfect to relax in with a good book. A truly romantic stay! Romantic Break - Lovely accommodation, great cuisine and a superb ambiance-the perfect spot for a romantic getaway! A fabulous little hotel set in an architectural landscape of poppy fields, olive groves, and vineyards. A traditional building with contemporary classic rooms and suites. Stone walls, wooden beams, clean white furnishings. Lovely garden and excellent little restaurant. Perfect for local exploring. Sights nearby - There are many peaceful chapels to visit in the region. Birdwatching - Birdwatching at "Mas de Buñol". A charming converted country house boasting an excellent restaurant. Sample exquisite regional fare with a contemporary twist after spending a day exploring the picturesque countryside. Sink into gorgeous soft beds in rustic-chic rooms with exposed stonework and natural art. Rural perfection. Country Escape - Great food and wine, lovely countryside and rustic chic rooms. Heaven. Foodies - Sample innovative regional cuisine in the elegant restaurant. Great walks - Miles of hiking trails starting from your front door. Down a cobbled street in the medieval village of Alquezar this rustic property combines natural materials with luxury trimmings. The menu is a similar blend with a contemporary take on the classics. Rooms have earthy palettes, hand woven fabrics, locally made furniture and modern bathrooms. Great walks - Located on the edge of the Sierra de Guara Nature Reserve there are many excellent walking routes. Back to Nature - Decorated with natural materials and located on the edge of the Sierra de Guara Nature Reserve. Sights nearby - A visit to Alquezar's The Colegiata is well worth the steep walk! A designer hotel in Mataranna hills. Ultra-modern rooms are slick with slate, sunken baths, terraces and fireplaces. Outstanding traditional cuisine. Stunning pool, gardens, library, bar and 'garage' area for reading or relaxing. An utterly sleek affair for a countryside weekend. A fabulous little hotel, previously a synagogue, then a manor house. A charming mixture of classical and contemporary. Spacious rooms have wooden beams, kilim rugs and designer furnishings. Lovely roof top terrace, library and bar. Perfect for a stop over in the countryside. Traditional - Once a medieval Synagogue and later a fabulous 16th century manor house. Sights nearby - Palacio de Sada, Javier Castle and Monastery of Leyre. 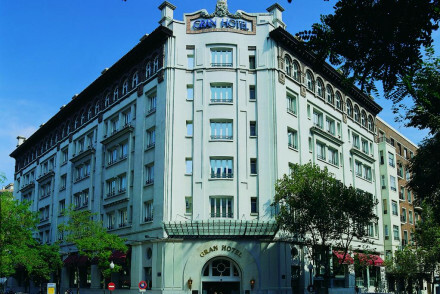 An historic and majestic hotel right in the heart of Zaragoza. The magnificent domed foyer, complete with chandelier, sets the tone for the hotel - think old world glamour meets modern comfort. With a tapas bar, a fine dining restaurant, a funky bar and a wonderful gym they have all bases covered. 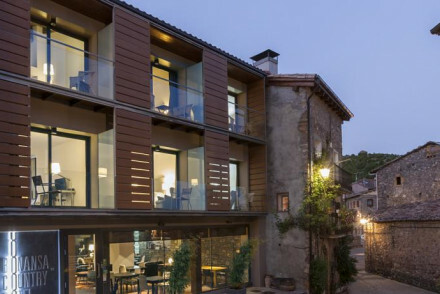 A charming modern hotel in the centre of Benasque town, close to ski resorts and hiking trails. The lounge has stylish dove-grey furnishings and a wood-burning stove, exuding a cosy atmosphere. Chic rooms are simple with plenty of pine and soft hues. Ideal for active alpine breaks. 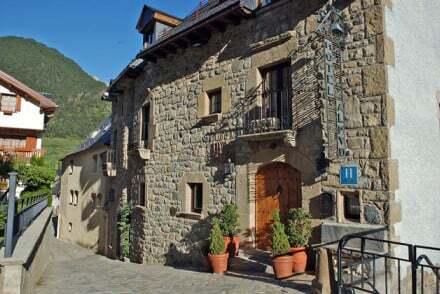 Charming hotel in the centre of Alquezar, in the Sierre de Guara National Park. Nine individually designed bedrooms, with stylish decor and some with enormous hydro therapy baths. A superb spot for both active types and local exploring. 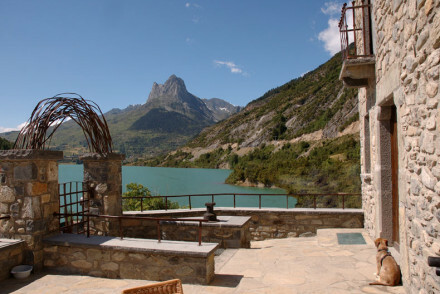 An imposing country house situated in a breathtaking spot overlooking the Ordesa National Park. Classically renovated throughout, think exposed stone work, cast iron beds and open fireplaces. Stunning local cuisine and wines served at the restaurant. An unmissable location. Country Escape - The perfect country house situated in the Ordesa National Park. 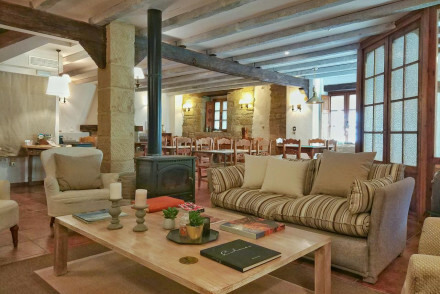 Charming chalet-style hotel in the foothills of the Pyrenees. Featuring a garden with a lovely pool, and simple interiors characterised by Swiss pine fittings and an air of unfussy elegance. Attractive rooms are similarly understated and homely, and the wonderfully cosy spa seals the deal! Hotel Posada Al Vent offers traditional accommodation in a 16th-century house, with four-poster beds and wonderful views. Unwind on the terrace with a drink and enjoy superb meals at their restaurant. A lovely country retreat perfect for letting go and getting out in the great outdoors. A smart and sophisticated hotel right in the heart of Zaragoza. 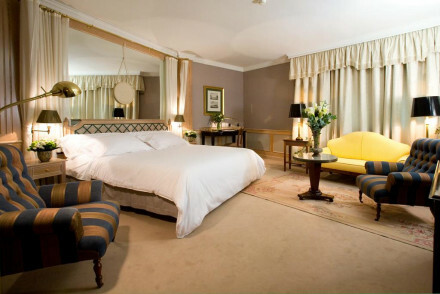 The elegant and comfortable rooms offer carpeted floors, indulgent beds and large bathrooms. Head down to the restaurant for traditional fare or up to the rooftop pool for city views and a cooling dip. Perfect for families and couples. Gorgeous country house hotel. Interiors feature antique furniture, contemporary Spanish art and stone walls. Over 200 acres of rose gardens, working farm, terrace, games room and large cellar. Superb farm-to-table menu. Secluded, peaceful and very pretty. 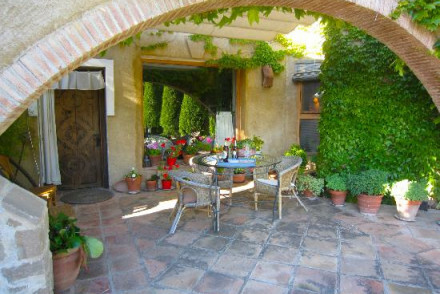 A charming eco property set in a quiet and, miraculously undiscovered, corner of Spain. Modernity meets tradition throughout. Exposed brickwork against sheets of glass. All cunningly designed to make the most of the stunning views. Excellent local cuisine. A stunning, well priced, rural escape. Country Escape - An eco property in an area of outstanding natural beauty. Sights nearby - Wander through the cobbled streets of the nearby medieval village, Valderrobres, and visit the 13th century castle. Great walks - Explore the trials through the Puertos de Beceite Mountains.